Fragrant Nature offers a uniquely curated travel, living and dining experience for nature lovers. The 7-day package is an encapsulation of the choicest destinations, coalesced with the rejuvenating and pleasant stays and a handpicked culinary extravaganza by our famed chefs, ensuring a wholesome caress of the God’s Own Country. Situated at three diverse, yet exquisite topographies, the Fragrant Nature properties at Kochi, Munnar and Kollam bequeath the pivotal aesthetics of the landscape in all its pristine glory, be it the azure seas and the stellar view of the harbor at Kochi or the mystical, tea-scented hills of Munnar or the calm back-waters and munificent coconut groves at Kollam. Inhale the tranquil air of the hills cape, wafting the sweet aroma of spices whilst witnessing the spectacular views. Indulge in a pampering massage, rejuvenate your senses and ease into your being. Abundant in bountiful water-bodies, discover the serene charm of a houseboat stay at Kollam and relish some of the local seafood delicacies from the fresh catch, customized to your liking. Be spirited off into a blending pot of the mythical past with the cosmopolitan present in the meandering streets of Fort Kochi and revisit the vintage grandeur of the Dutch influence around you. Immerse yourself in the essence of Kerala! Day 01 - Pick up from Cochin International Airport.Explore the aromatic intricacies of a spice plantation, en route your accommodation at Fragrant Nature Munnar. 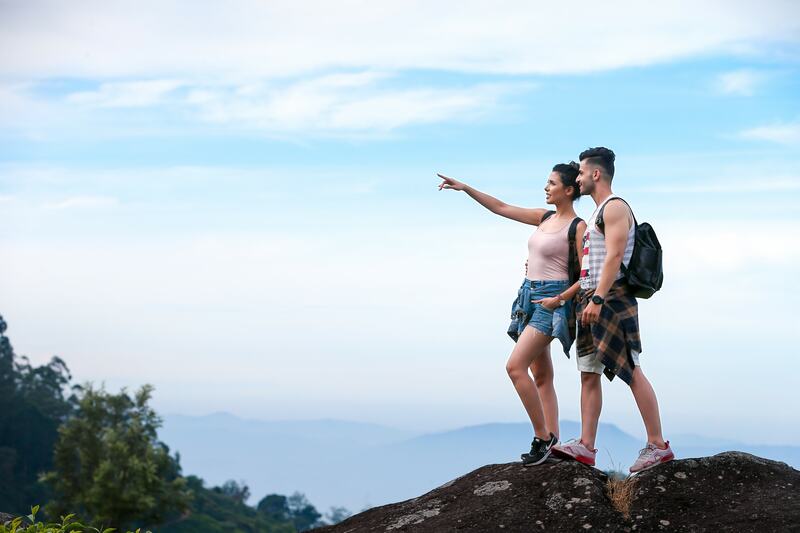 Day 02 - Post breakfast, discover the exquisite, mist-clad terrain of Munnar and visit the popular locales of the Mattupetty Dam, Echo point,Kundala Dam, Top Station etc. Indulge in a complimentary 20 minutes head massage later in the evening at our exclusive Spa. Day 03 - Transfer to Fragrant Nature Kollam; one stop for lunch. Relax and refresh after a full-body massage on arrival, relish your taste buds at our restaurant with a 4-course menu or a grand buffet specially crafted by our gourmet chefs. Day 04 - Peace out on the golden sands at Varkala beach and listen to the gurgle of the sea and the crash of waves – the ideal setting to get some toasty tan! Take the offbeat track and unearth the marshy mangroves; spot occasional sightings of rare migratory birds in their nesting season. Stay by the unruffled backwaters of Kollam. Day 05 - Proceed to the scenic countryside of Alleppey, profuse with foliage and dotted with verdant paddy fields. Reward yourself the enchanting experience of staying afloat on a houseboat, encased by mesmerizing views and the gentle rocking of the waters. Day 06 - Transfer to Fragrant Nature resorts at Kochi, a city that bestows an intriguing potpourri of the past and the present.Spoil yourself in the caress of a 20-minute stimulating massage session. Day 07 - Stay back at Fragrant Nature Kochi and revisit the crumbling remains of thebygone era, the magnificent Dutch architecture and the effervescent life of contemporary Kochi! Day 08 - Drop off at Cochin airport, package ends.